With authors across the centuries finding inspiration around the Dorset coast and countryside, discover the areas they called home and the locations that inspired their work. Attracted by Dorset’s history, countryside and seaside resorts, literary legends have been drawn to the county for centuries. While some have made Dorset their home, others have chosen to return year after year on long vacations. The result is not only a county with an enviable literary association, but a landscape that is dotted with authors’ homes and sites that have inspired the settings for some of their most famous works. From secret islands to seaside towns and castle ruins, whether you grew up following the adventures of Enid Blyton’s Famous Five or immersed yourself in the world of Thomas Hardy’s Wessex, Dorset may seem familiar even to those who have not visited the county before as real-life locations for the fictitious settings of many of Britain’s best-loved literature can be found all around. In the latter half of the 16th century, the aristocracy were becoming more and more interested in visiting the seaside. Advocating the benefits of sea air and the believed benefits of drinking sea water, a migration of the upper classes and even royalty could be traced across the country to the south coast once the season started. Jane Austen was one such person, making her way to Dorset’s Lyme Regis where she stayed on at least two occasions in 1803 and 1804. Staying at Pyne House, Austen wrote to her sister Cassandra about her time at Lyme, which had become a firm tourist destination. Austen would spend her days along the seafront, either making use of the bathing machines or promenading along the Cobb, the town’s old harbour wall that harks back to a time when it was a thriving trading port. In the evenings Austen would make her way to the seafront Assembly Rooms to join in with the dancing and jollity. Austen was so taken with the area that she used it as the setting for a section of her novel Persuasion. Visitors today will still recognise aspects of the town from Austen’s descriptions in the novel and can trace the footsteps of the characters (and their creator) around the town, from the inns they visited to the Cobb itself where Louisa Musgrove took a fall that would change the course of her fate. Most associated with the county town of Dorchester, it was here that Hardy designed Max Gate in 1885, the property where he wrote Tess of the d’Urbervilles and Jude the Obscure. Dorchester itself supplied the inspiration for the setting of The Mayor of Casterbridge in which Hardy describes the town as evoking old Rome. The King’s Arms 18th-century coaching inn was mentioned within The Mayor of Casterbridge and still welcomes patrons to this day. There are many locations around the town that are also associated with a number of Hardy’s other great works, including Far from the Madding Crowd, The Trumpet Major and Under the Greenwood Tree. As well as the brick and mortar reminders of Hardy’s works, The Dorset County Museum, located in Dorchester, also holds an award-winning Writer’s Gallery where it is possible to view memorabilia associated with Hardy along with a reconstruction of his study. It was just outside Dorchester where the author was born in a quintessential thatched cottage in Higher Brockhampton. 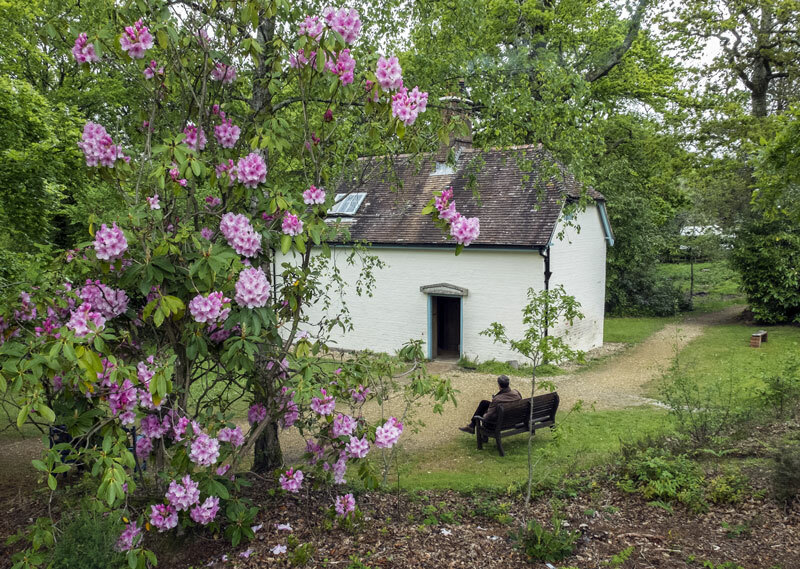 Today, visitors to the region can pay a visit to Hardy’s Cottage as well as Max Gate, as both are now in the care of the National Trust, to learn more about the man and his work. After his death, Hardy’s body was laid to rest at Westminster, but his heart was destined to remain in Dorset and was buried in St Michael’s Church in Stinsford, not far from Dorchester. Having spent over two decades visiting Dorset at least three times a year, it is little wonder that a number of sites across the county made their way, under one guise or another, into the beloved children’s books of Edin Blyton. Visiting for weeks at a time with her children and husband Kenneth, Blyton often stayed along the sandy shores of Swanage and Studland, where she would enjoy going for a dip in the sea and exploring the surrounding area. Along the coast from Studland lies Poole Harbour and its collection of islands, including the National Trust’s Brownsea Island, which would later become Blyton’s Whispering Island in Five Have a Mystery to Solve. The author also visited Corfe Castle while staying in the area, which is thought to have inspired Kirrin Castle in the Famous Five books. Visitors to the castle today can still take the train trip to arrive in the shadow of the castle in the same manner as Blyton did and imagine themselves as one of the Famous Five as they explore the craggy ruins. Across the way from the castle’s entrance is The Ginger Pop Shop, where fans of the author can find an abundance of all things Blyton squeezed into one small corner shop, including lashings of ginger beer! During his time as a British Army officer, TE Lawrence was part of the Tank Corps based at Bovington Camp. It was during his service here that he acquired Clouds Hill, a small hut of a cottage which Lawrence used as a refuge from his barracks. 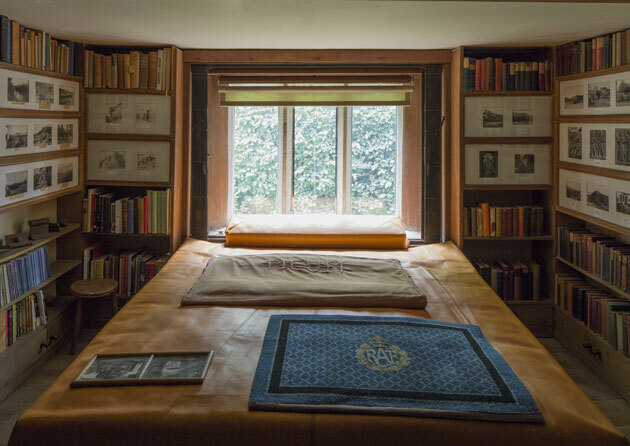 It was here that he would escape to the peace and quiet to read, listen to music and to work on his book, The Seven Pillars of Wisdom; an autobiographical account of his part in the 1916 Arab revolt against the Turks for which he famously became known as Lawrence of Arabia. Having lost the first draft of The Seven Pillars of Wisdom at a train station in 1919, Lawrence worked on new versions of the manuscript for the next seven years, but he was never happy with the outcome. The small brick and tile structure of Clouds Hill, where Lawrence would while away his spare evenings, has since been opened up to visitors who can discover the interior much as Lawrence left it. Furnished with his possessions and without any electrical lighting, it was here that Lawrence retired from the forces in 1935, but he was tragically killed in a traffic accident not far from Clouds Hill in the same year at the age of 45. It was only after Lawrence’s death that The Seven Pillars of Wisdom was finally published for general circulation, remaining in print ever since.